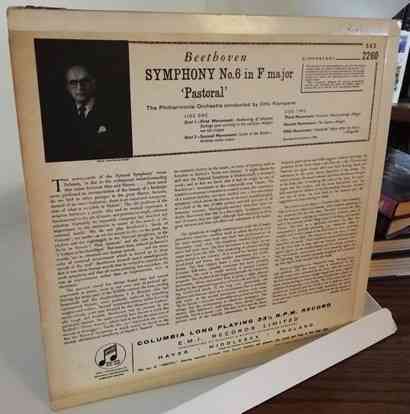 33rpm LP Record featuring the Philharmonia Orchestra conducted by Otto Klemperer. 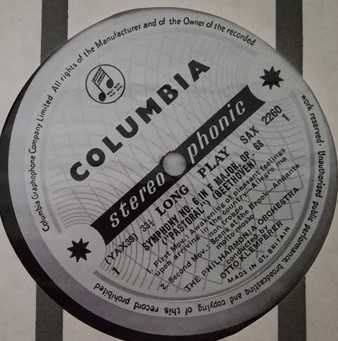 Issued on the Stereo Columbia Records first pressing blue and silver label in 1958. UK pressing. Garrod & Lofthouse flipback sleeve. 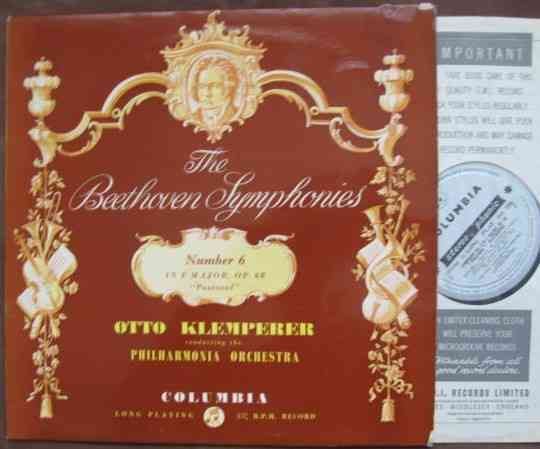 33rpm LP Record of SAX 2260 Beethoven SYMPHONY NO 6 PASTORAL, featuring the Philharmonia Orchestra conducted by Otto Klemperer. It was issued on the Stereo Columbia Records first pressing blue and silver label in 1958. UK pressing. Garrod & Lofthouse flipback sleeve. The record itself is graded excellent, with one or two light surface marks visible when viewed under normal house lighting. Play-tested on a USB turntable. Excellent sound quality, with NO jumps, repetitive ticks or pops and just a tiny bit of background noise for a couple of seconds on Side Two. Otherwise very close to faultless playback. The outer flipback sleeve is graded very good chiefly because of a one-inch split to the top corner of the open edge and a tiny bit of loss to the bottom corner. The rest of the sleeve has no major faults. Light sticker removal wear to front cover. The spine is intact and strong with no loss to the lettering. The inner sleeve has no wear to speak of.